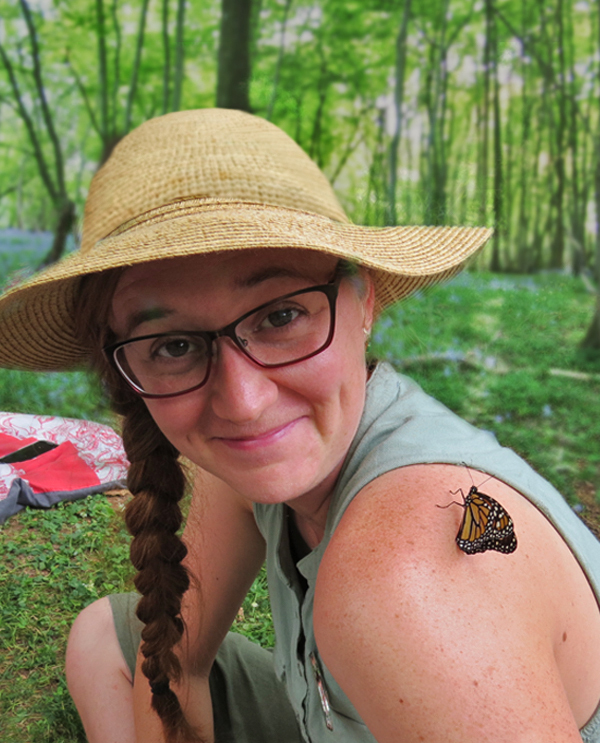 A native of Richmond, Virginia, Jenna came to Project GROWS in 2013 following an 18-month fellowship position with the Allegheny Mountain Institute (AMI). Prior to AMI, she served as Director of Development and Communication at Rx Partnership, a statewide nonprofit helping low-income Virginians access needed prescription medication. She was drawn to the work by a passion for whole food nutrition and gardening, and its power to transform health and lives. Jenna received her bachelor’s degree in communication from Virginia Tech, and lives on an organic fruit farm in Augusta County, Virginia with her husband and son. Definitely cabbage – one of my favorites to eat, it’s filling, adaptable and delicious! Being outside, learning new things every day about plants, nature, and where my food comes from. Laura grew up in the Shenandoah Valley in Winchester, Virginia. While studying Spanish at James Madison University, she discovered her passion for farming. After college, Laura moved to the Midwest to begin her career as a vegetable farmer. 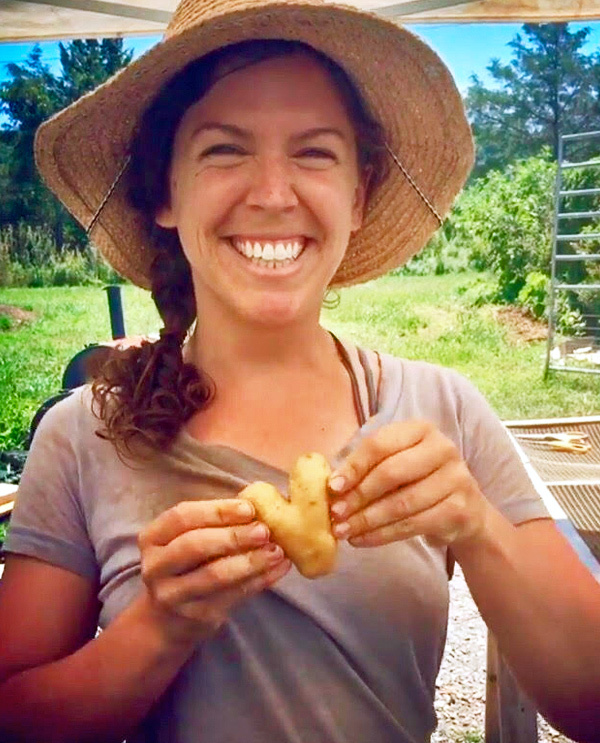 Laura spent three years working on a certified-organic vegetable farm and five months backpacking through Latin America before returning to Virginia to connect her passion and farming skills to communities in the Valley. Laura continued her journey farming and apprenticing with seasoned farmers until she joined the Project GROWS team as Farm Manager in the spring of 2017. Most days Laura can be found on the farm working with our crew and volunteers, covered in dirt, and munching on veggies. When she is not on the farm, she enjoys exploring new swimming holes and playing fetch with her naughty Siamese cat. A sugar snap pea – they are the most whimsical plants on the farm. Their curly tendrils and the way they twist and climb make the pea beds the most magical place on the farm. If there are fairies at Project GROWS, they’re definitely inhabiting the pea plants. I love that farming is truly dynamic. I enjoy the challenging, physical aspect of farm work as well as the community that we are building around local food. Farming has given me the opportunity to combine many of my interests and skills into one career path – all roads lead to farming! Nichole is a transplant to the Shenandoah Valley from Virginia Beach and after ten years is happy to call it home. After graduating with her BA in English and Master of Arts in Teaching from James Madison University, Nichole spent three years teaching eighth grade English in Harrisonburg, one summer backpacking with Camp Woolman teenagers on the Pacific Crest Trail near Lake Tahoe, and two years as the children’s education coordinator at the Edith J. Carrier Arboretum. 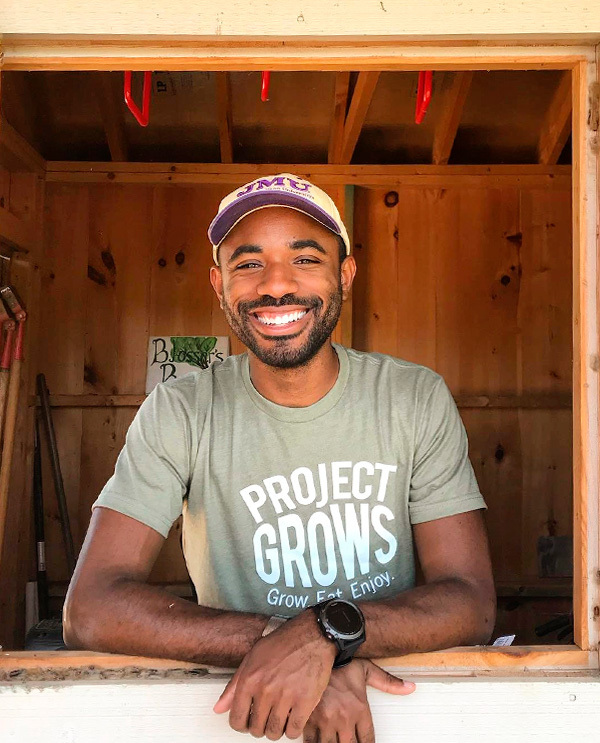 Having originally connected with Project GROWS as a teacher through on-farm field trips, she joined the Project GROWS team in 2018. Always delighted to learn a new tree or bird name, Nichole’s passion lies in connecting young people to the outdoors and to local food production. In her free time you can find her milking cows and chasing calves at the Family Cow Project, a collectively owned cow-calf operation in Harrisonburg. Like a sweet potato, sometimes I enjoy working on projects for a long time “underground” before the world gets to see them! Farming gets you “up close and personal” to the seasons of year—the anticipation and green of spring, the heat and hard work of summer, the bounty and color of fall, and the slowness and chill of winter. I’m fascinated by the seasonal parallels we see reflected in the progression of a day from dawn to midnight; the timeline of a human life from birth to death; and the life cycle of a plant from seed to compost. We have so much to learn from the land! Megan comes from the beautiful state of Oregon, where she received her Bachelor’s degree in Public Health at Oregon State University. During her time at OSU she discovered her passion for the environment, nutrition, and the food system. 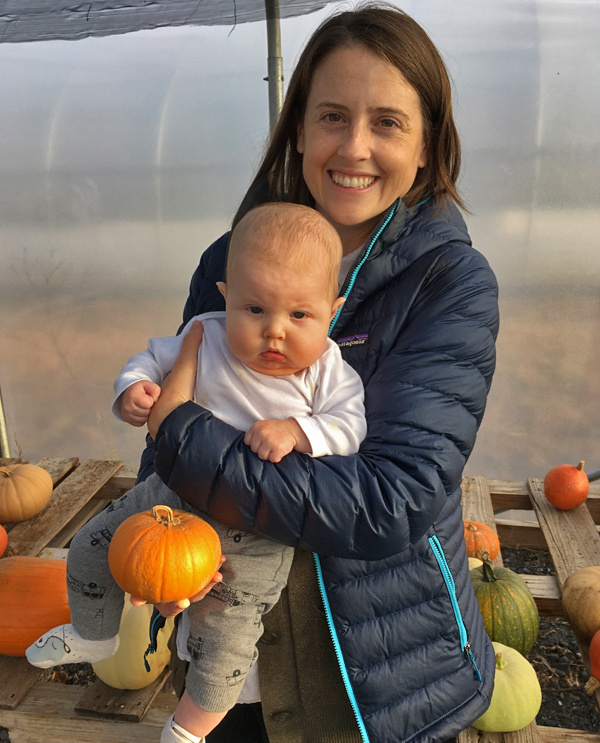 Megan moved to Virginia in 2017 where she worked as a nutritionist assistant for WIC and her passion for food access grew stronger. 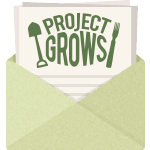 In January of 2018 she found Project GROWS and started her journey as the team’s Food Access Coordinator. Megan is often found managing the Farmer’s Markets, but she can also be found helping out on the farm and in the local schools. When she is not working, Megan enjoys cooking, hiking with her dog Moose, and exploring her new hometown in Harrisonburg, VA. I would be a mushroom native to the Pacific Northwest, growing on the mossy floor of a pine tree in the Oregon mountains. Mushrooms indicate healthy soil for trees and other plants to grow in. They also love the rain, the forest, and the mountains just like me. I love being a part of the process! From seed to vegetable, from farm to table, from season to season, from beginning to end. Growing food for myself and my community gives me purpose and connects me to nature. A Loudoun County native, John was raised in a family with deep ties to the earth and empathy for those less fortunate. Both of these values eventually manifested themselves in a varied career in public service while pursuing his education in Public Service and Nonprofit Management. John moved to the Valley in 2013 and in 2017 he graduated with his Master’s of Public Administration, Nonprofit Management from James Madison University. When not actively trying to save the world through food justice, John likes riding bikes, camping, and hiking. A Sweet Potato! Sweet potatoes are so willing to be amazing no matter how you want to serve them. Some savory sweet potato fries or a delicious sweet potato pie, there’s no wrong way to go! I love the way that farming connects people, both through the final product and the process. My grandparents grew up on farms in Georgia, and despite whatever generational differences come with living through different times/cultural shifts, it’s always been something we can appreciate and bond over. Farming is inherently rich in cultural heritage and experiences that simply can’t be communicated or replicated in any other way. Clara was born and raised in the Shenandoah Valley. 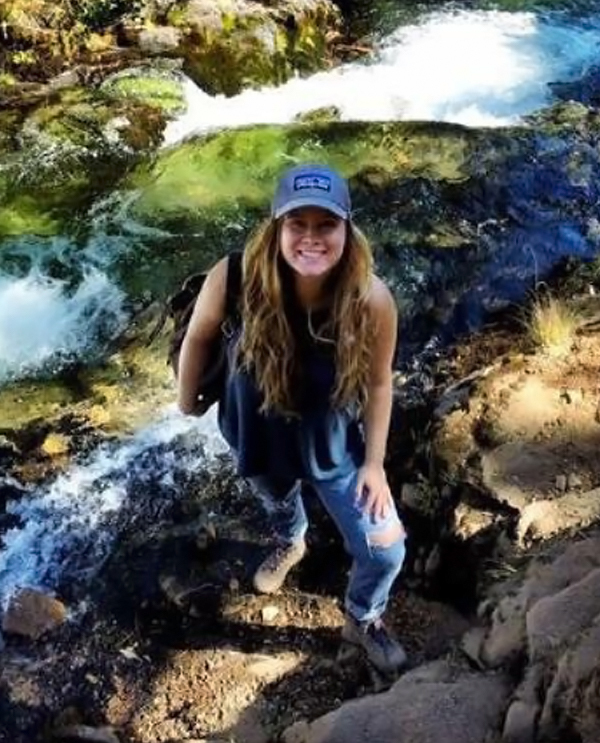 Following high school, she moved to the Pacific Northwest where she lived for several years honing her barista skills and exploring glacier lakes. Following a backpacking stint in India and Nepal trying every variation of curry and momos she could, Clara returned to the valley and completed her BA in Sociology with a concentration in Nutritional Science from Bridgewater College in December 2017. 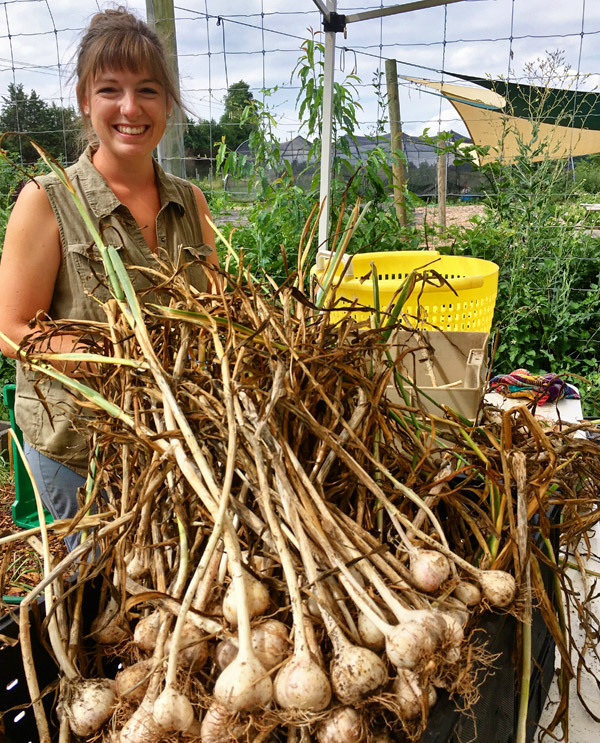 While at Bridgewater College, Clara’s passion for food justice as well as local and sustainable food systems was nurtured and ultimately led her to Project GROWS. When she’s not at the farm, Clara spends her time experimenting in the kitchen while listening to podcasts, playing frisbee with her pup Ginger, and spending time with family and friends – preferably outdoors! Green beans! They remind me of summertime meals at my Grandma’s house. Freshly harvested and sautéed with garlic (runner up in the favorite veggie race), I can’t think of anything more satisfying to my tastebuds! Food! No farming, no food – and what a sad and impossible world that would be. More personally, farming provides me the opportunity to view the food system from beyond a consumer standpoint; by taking an active role in food production, I am constantly reminded of the time, care, and hard work that goes into growing the food that nurtures our bodies and minds. Matthew Kitchen is a native of Manassas, Virginia who grew up in his mom’s backyard garden discovering nature and eating dirt. After graduating from the College of William and Mary with a B.A. in Theatre and Creative Writing, he started as a program fellow at The Allegheny Mountain Institute. Through the fellowship Matthew learned about Project Grows and applied there for the AMI externship portion of the program. After finishing his fellowship term at Project GROWS, Matthew has moved to pursue teaching in the Richmond City Public Schools system. Matthew loves playing tennis, wandering in the woods, and peanut butter. A Patty Pan squash! I love how they are subtly sweet, vibrant, and kind of goofy looking. I love the beautiful diversity of nature, working outside, and watching plants grow. Being able to work intellectually, physically, socially, and spiritually in all the many aspects of farming is deeply fulfilling. Getting to teach/share that with others makes it all the more exciting. Freddy grew up in the small Appalachian town of Lewisburg, West Virginia, and the big coastal city of Charleston, South Carolina. At Clemson University, Freddy received his B.S. in Plant and Environmental Sciences, with a concentration in Agricultural Biotechnology. 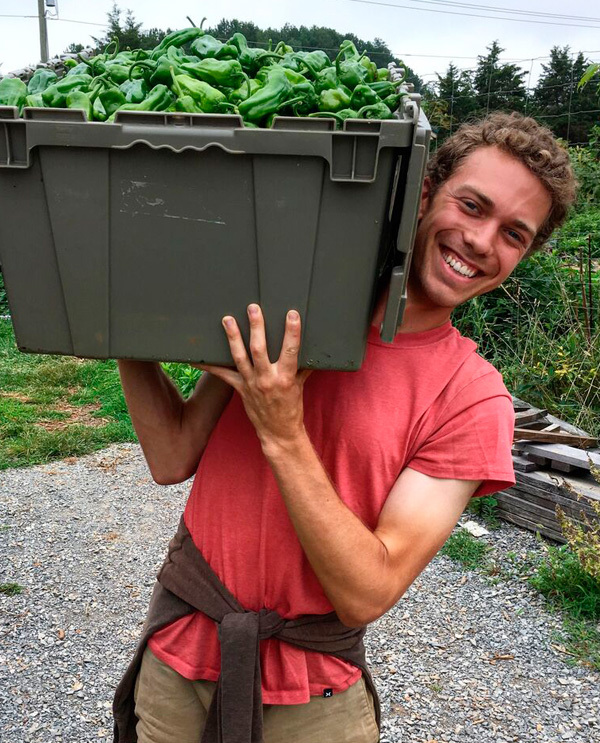 While at Clemson he met colleagues and mentors who would spark his interest in organic and holistic farming. After working on research with the USDA in Charleston and large-scale beekeeping in Utah, Freddy moved to Highland County to participate in the Allegheny Mountain Institute Fellowship. 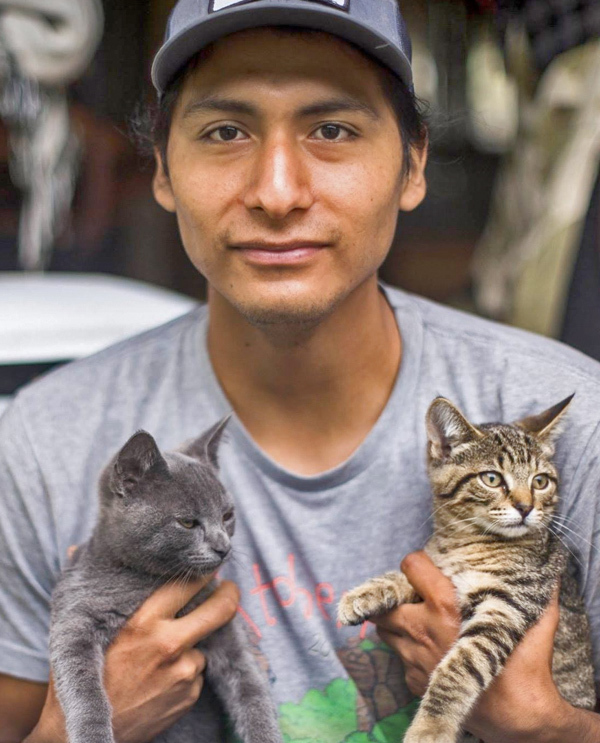 Through AMI, Freddy joined Project GROWS as an Education Assistant. In his spare time Freddy enjoys hiking, rock climbing, music, cooking, and many other activities that can bring people together and share experiences. If I were a vegetable I would be garlic. It adds a great flavor to any home cooked meal and I don’t like bloodsuckers. Studying farm practices in the classroom and on the farm has reshaped many of my views on the food industry. It is really hard to understand where food comes from without experiencing it first hand. Now, I truly appreciate knowing where my food comes from. I am able to understand and value the work, time, and passion that go into bringing good food to our tables. Farming incorporates so many disciplines that have been cultivated and nurtured. I will never cease to be amazed at how much individuals involved in farming put into mastering their craft. I consider every workshop and conversation an opportunity to expand my interests and love for farming. A native of Richmond, Virginia, Audrey has enjoyed time in a variety of underprivileged areas and has witnessed the effects of a systemized food culture. She hopes to become a well-rounded advocate for food equality and access. 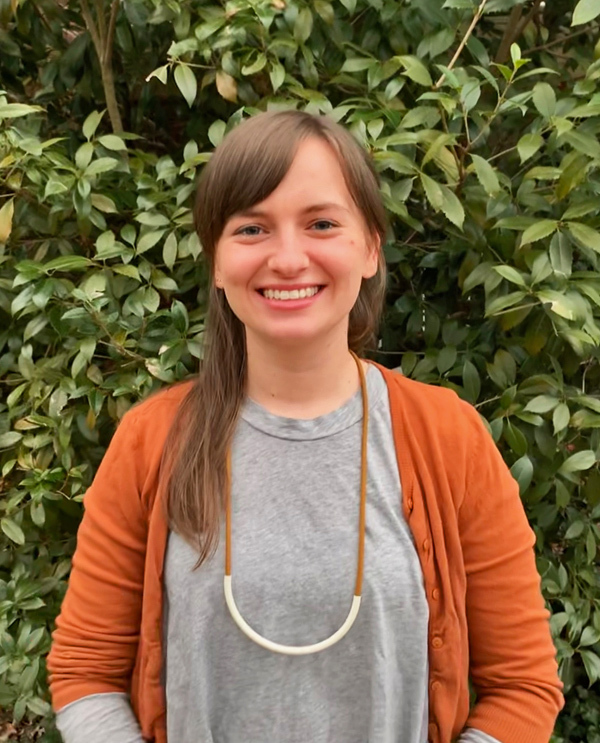 Audrey brings experience in elementary and Deaf education, farm work, and animal husbandry to serve as Project GROWS’ Community Food Projects Coordinator. Ginger. It’s sweet but spicy and is soothing to the belly. It is delicious and often accentuates the qualities of other flavors. I hope to be sweet and spicy and bring out the best in others, too! I enjoy challenging myself physically, being outside, and the rewarding feeling of watching things grow. As I continue to work in agriculture I hope to appreciate the history of this occupation and the effects of an ever changing culture. Also food. Love food.